BigCommerce is an E-Commerce platform that provides tools to help online sellers run their businesses. FullStory can be easily set up on most BigCommerce themes by following the steps below. Once installed, you can use FullStory to play back user sessions, build conversion funnels, and gain new insights into how your customers navigate your store. Log in to your BigCommerce account, and navigate to the Dashboard. 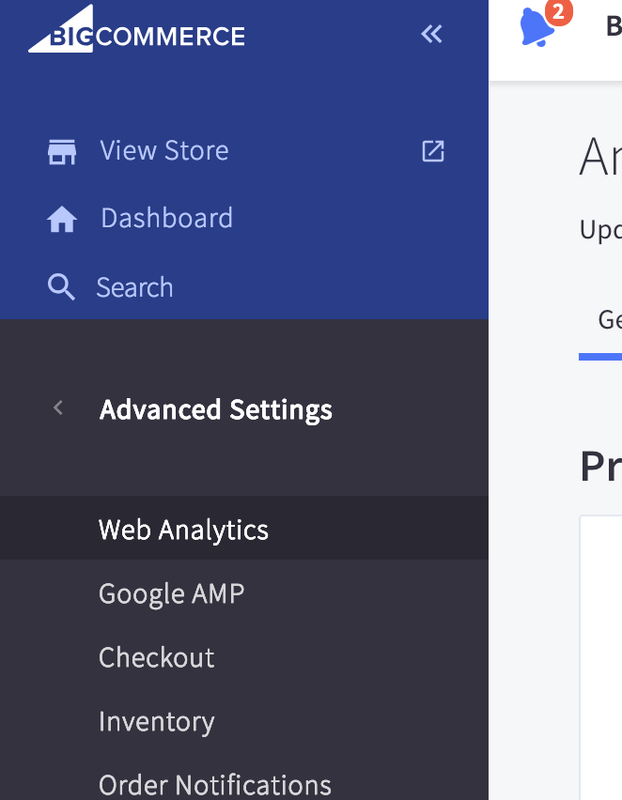 From the BigCommerce control panel, navigate to Advanced Settings > Web Analytics. 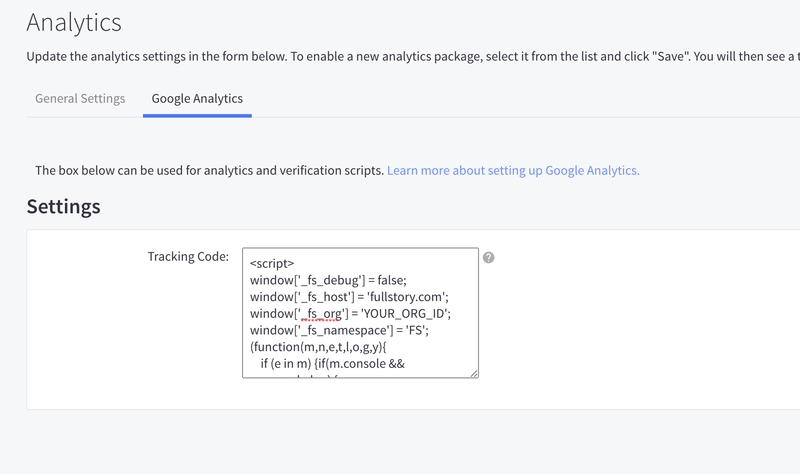 Check the Google Analytics item and click on Save. Then, you should be able to see a new tab called Google Analytics on that page. Select that tab. Now, paste the FullStory snippet (learn how to find it here) in the text area and click on Save. If you already have other snippets there, insert the FullStory snippet (including the script tag) above them.